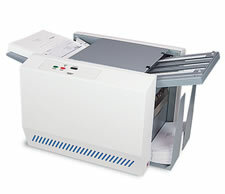 Combined with a laser printer and pressure seal forms, the FD 1202 creates secure, mail-ready pieces in minutes, without the need for envelopes. 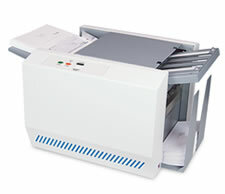 With a speed of up to 75 forms per minute and the ability to process forms up to 14” in length, the FD 1402 enables operators to complete daily processing jobs with ease. With a speed of up to 100 forms per minute, in sizes up to 14” in length, the FD 1502 enables operators to complete daily jobs with ease. 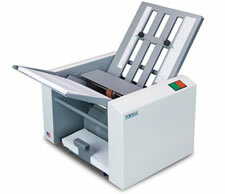 A processing speed of up to 6,250 forms per hour enables operators to complete daily jobs with ease. 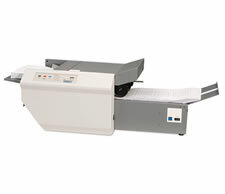 Plus, the integrated output conveyor keeps processed forms in a neat, sequential order, ready for the mail. 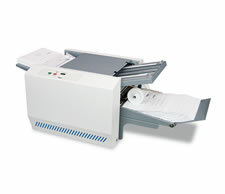 The FD 2002 AutoSeal® is a powerful desktop model designed to process pressure sensitive self-mailers.